Submitting incorrect lease plans to the Land Registry can be costly in terms of both time and money. In this article we breakdown and explain the Land Registry’s drawing requirements to help ensure the plans you submit are accepted first time around. Our article will save you precious time and money, as rejected applications can often take a long time and money to fix at times when these elements are tight! This guide will explain a number of different features related to a range of different types of transfer including offices, residential and areas of land. 1 – What is a Lease Plan? 3 -In Which Situations Do You Need a Land Registry-Compliant Plan? A lease plan is a drawing that identifies the extent of the leasehold demise within a property or area of land. When a transaction is registered with the Land Registry a lease plan drawing is required. It is very important that the plan that is submitted is undertaken correctly as errors can cause delays and increase costs. Rejected plans will need to be resubmitted with amended plans and may require re-execution by all parties involved. Time and money can quickly run away when issues with lease plans arise. Solicitor fees and submission time frames can be very costly. In Which Situations Do You Need a Land Registry-Compliant Plan? When a lease is granted that is 7 years or more in length. When a lease is granted from an unregistered title. When land is put up for sale but is already part of a registered title. When an area of land has been sold but hasn’t been previously registered. The granting of an easement on a registered property. The exception is if the whole of the registered title is part of the easement. Let us know a little bit of information about your lease plan requirements. If required we can undertake a site survey or simply trace existing plans. If you aren’t sure on what you require, we are happy to provide assistance and talk you through the process. Just give us a call or send us a message. Below is a list of Land Registry guidelines, and an explanation of each point to help you understand what’s needed. This is related to the drawing scale you provide. It’s no good showing a large area of land on a tiny drawing as it simply won’t be suitable for defining the area. The scales here are often to the drawing window called the “location plan”. This commonly helps identify the area of land/property on a broader sense in relation to the local neighbourhood/area. This is fairly simple: the plans you submit need to have a north arrow indicating the approximate north location. When you download an Ordnance Survey map from a website they are typically orientated with north facing upwards, making your life easier. The arrow helps identify the location of the property. The basic plan, or location plan, must show enough detail of the surrounding area to help identify the location of the property or land. Be careful with this and ensure your plan shows enough detail. We have seen plans rejected where the location plan was too small. A good idea is to show 2 or more local roads (if possible) to help identify the location. This is similar to, if not the same as, the previous point. Ensure your plan shows enough information around the site that it can be easily found by someone who’s unsure of the address or location of the property. Drawings should no longer be issued using imperial measurements and should be drawn using the metre scale. If you need to convert an old drawing into metric, consider asking a CAD company such as ourselves to help. A lease plan is an important document that should be accurate, correct and presented in the right way. Misleading wording such as “draft copy” or “identification only” will cause your plan to be rejected by the Land Registry! How to Define the Extent of the Property or Land in Your Plan. Show the whole of the property including any garage, parking space, bin store or garden ground. This is fairly self-explanatory; the area of land you are defining needs to include all the other extra bits that you may own, use or have access to. The colours, hatching and edging to define these extra bits will be outlined in your legal documents. If you are unsure about any points, speak to your solicitor. Access drives or pathways if they form part of property boundaries. Similar to the point above, all access ways to your property within the boundary need to be indicated. Undefined boundaries accurately and where necessary, by reference to measurements. Undefined boundaries are where different properties are demarked by something that doesn’t exist on site. For example, a field may not have a fence line going through it to define one farmer’s piece of land next to another. If this is the case, you need to give practical measurements to nearby fixed objects to help others to stake out and define these lines accurately. Measurements that correspond, so far as possible, to scaled measurements. The measurements provided in your plan should be accurately drawn so they appear at the correct scale. For instance, if a fence line is 30 metres from a lamp post on site, the line on the plan should be correctly drawn in the right location and to the correct scale. Your 30-metre line should scale to 30 metres, not 60! Measurements in metres to two decimal places. The measurements on your drawing should be to the correct number format. For example, 30.16 metres. Not 30.1 metres or 30.163 metres. Land and property clearly (for example by edging, colouring, stippling or hatching) – the edging/colouring must not obscure any other detail. It is important that the lines, hatching and other detail on the plan doesn’t significantly cover any other detail. 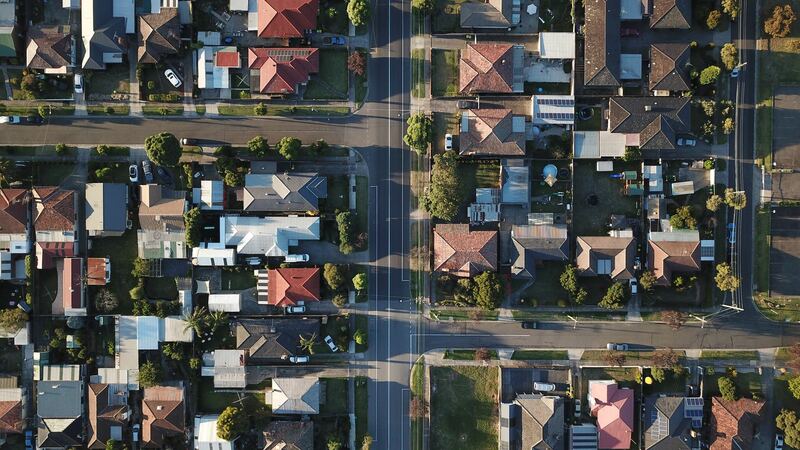 This is because covering or hiding elements may cause disparity with neighbours or the Land Registry, which may need more accuracy for your property boundaries. In plans where you are showing a complicated boundary such as splitting a building or complicated fence lines, it’s worth showing a more detailed plan separately. The suggested size would be 1:200 – ensure your scale bars are correctly shown for this new plan! All colours referred to in the deed, with their extents clearly defined. The colours referred to in your legal documents should match your new plans. Your solicitors should double check these and pick up any issues. Shows where the property falls in relation to the external footprint of the building and/or in relation to surrounding detail on the Ordnance Survey map. For example, if you own a flat in a large building, you will need to accurately show the extent of your flat within the overall building. Shows the extent at each floor level, if necessary by using separate plans. If you have a multi-storey property within a larger building, such as an apartment, you will need to show each floor within the context of the building. For each floor you will need to produce a new and separate plan. For subsoil or airspace, shows the levels between which the land falls or relates the land to Ordnance Survey Datum (mean sea level). If you are dealing with an area such as a basement or a roof space, you need to relate and show the ground level to either the existing ground level outside the property or the ordnance survey datum height. Identifies different floor levels included (where appropriate). If you have a building with multiple floors or own various floors, say in an office building, then it is worth showing the height of each floor on the drawing. This will clearly indicate the height at which the floor is at to either Ordnance Survey datum or the existing ground level outside. In an office or residential building or even a piece of land with complicated fence lines, it’s sometimes worth showing another plan at a bigger scale. This makes it easier to show the intricacies of the boundaries a bit more accurately. A suggested scale would be 1:200 or 1:100. Your plans should clearly show all the areas referred to in the legal documents. When it comes to the little extra bits of land or areas you own then it’s worth marking the plan demonstrating what they are such as “BIN STORE”, “PARKING SPOT”. Must agree with the verbal description contained in the deed. The plans you submit must match the wording in the legal documents. Your solicitor should be able to help you with this. Correctly shows all markings referred to in the deed. If you have a feature called up in the deeds or legal documents then these need to be referred to on the plan. This is to help identify the location of the area as it may be based on existing features.